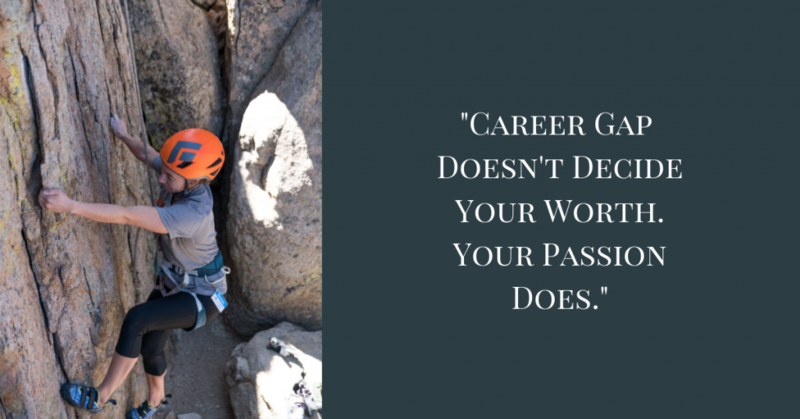 Home » Career Advice » Career gap doesn’t decide your worth, your passion does! ‘Vishwas, I interviewed a candidate who has a gap in her career. She seems rusty but the attitude is good. I’m confused. Should I hire her or not?’ asked a hiring manager. ‘We cannot judge anyone based on gaps. If you feel she can be a good fit for your team, you should give her an opportunity,’ I replied. ‘Why? What happened?’ I asked. ‘She has the skill, but there is no dedication to complete tasks. Goes home without completing tasks. Doesn’t deliver anything without multiple follow-ups. It seems as though she is doing some time-pass. I tried to motivate her, but it made no difference. So, we let her go,’ he concluded. Bottomline-You can lead a horse to water but you can’t make it drink. People might give you an opportunity, but if you are not dedicated enough to make max use of that opportunity, you are toast. Don’t make this mistake in your career. Be aggressive, be self-driven. Pounce on opportunities, deliver with dedication & succeed in your career.